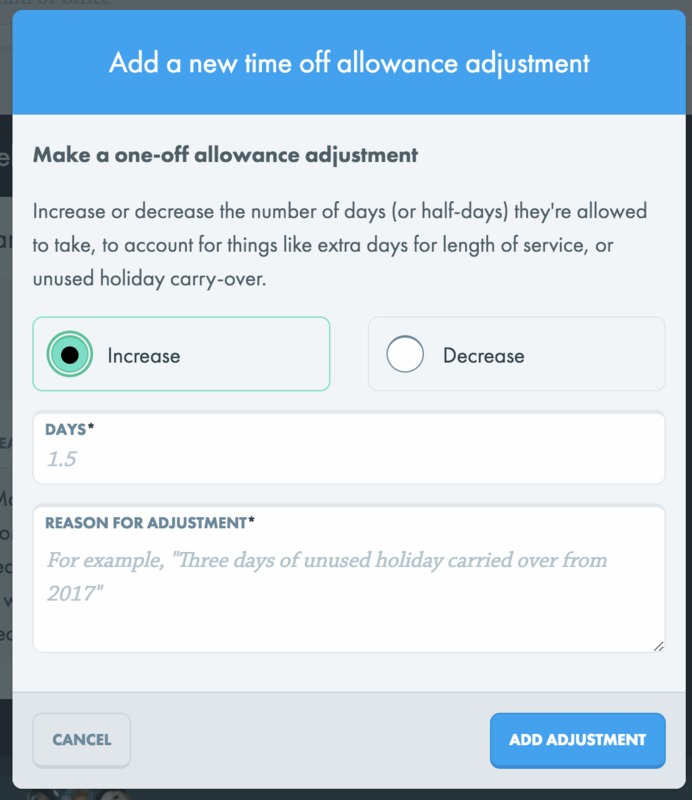 If you're an Admin or Super Admin, you are able to increase or decrease the time off allowances for different team members. This is particularly handy when people have more or less holiday than the company default gives them. Select 'Settings' in the side nav. Click on 'Time off' in the tab menu. Find the relevant person and select the 'action' icon at the end of the row. Click to add a new adjustment. Fill in the form with the correct details and a reason for the adjustment. Click 'Save' to confirm your changes.